There’s a recurring line throughout director Lasse HallstrÃ¶m’s adaptation of Paul Torday’s 2007 novel, Salmon Fishing in the Yemen, regarding what’s possible “in theory.” It relates primarily to the fanciful premise—the desire by a billionaire Yemeni sheikh (Amr Waked) with a yen for flyfishing to create a functional habitat for North Atlantic salmon in his country—but it could just as easily apply to the aspirations of the film itself. In theory, there’s potential in the story of British fisheries civil servant Dr. Alfred Jones (Ewan McGregor)—whose marriage to a workaholic banker (Rachael Stirling) has grown as tedious as his job—assigned to assist the sheikh with a plan Jones considers absurd. 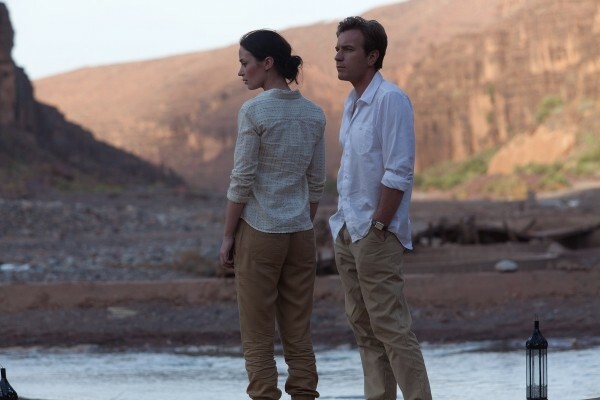 It might be possible to create a connection between Jones and the sheikh’s financial manager, Harriet (Emily Blunt), despite Harriet’s still-fresh relationship with a missing-in-action British soldier (Tom Mison). And, theoretically, it might be possible to mix all that into a cocktail of pragmatic international politics, as the prime minister’s no-nonsense press liaison (Kristin Scott Thomas) tries to wrangle the sheikh’s project into some much-needed positive public relations for the Brits in the Middle East, even as the sheikh’s own people attempt to stop the project out of fear that he’s altering both the landscape and their way of life. But, despite a frequently clever script by Simon Beaufoy (The Full Monty) and one of Thomas’ snappiest performances in years, HallstrÃ¶m—a director who, in recent years, has tended toward filing down the rough edges of every project he touches—can’t quite connect all those disparate elements. Salmon Fishing in the Yemen attempts to fuse tentative romance with snappy political satire, and combine a meditation on mysticism with a plot involving terrorism. The story itself may be about the collision between cynicism and faith, but jarring tonal shifts and lack of focus rarely work—even in theory.